I know these are old photos, about 1926 it says on the back. Photo on the left is the late Bill Dowell, posing as “The Duke of York”. Bill was a well known builder in Tumut for many years. A real character & real gentleman. The other two are of the “Bombowlee Jazz Band”, so it says. L-R Ted or Bob Percival, Bill Dowell, Fr. Percival & Mick Dowell. 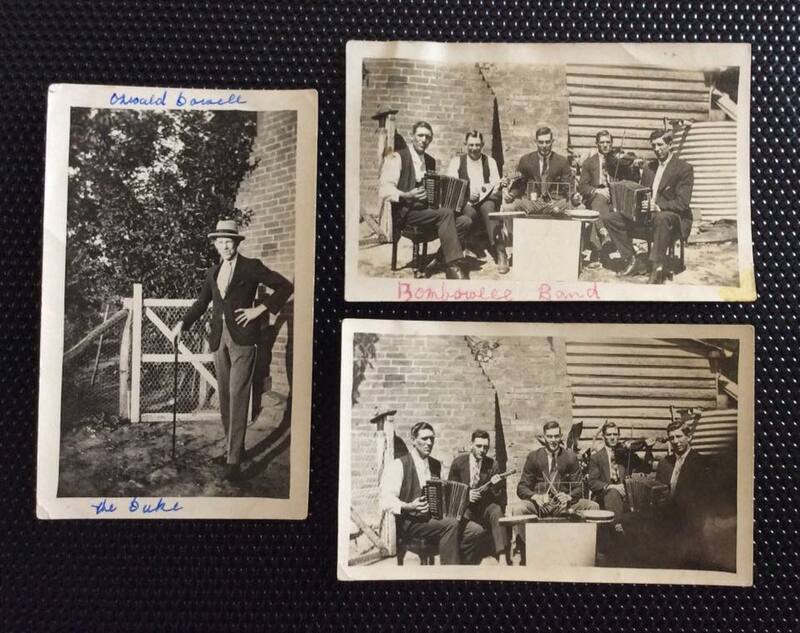 The third photo is the same, except my Dad, Jock Dowell is 2nd from left.